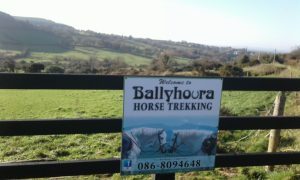 Hi we are going to be in Ballyhoura for 3 days next week and would like to go horseriding for an hour. We are 2 adults and two kids aged 5 and 7. Just wondering if we need to book now or could we call the day before maybe? Also how much would a family 1 hr trek cost?